November’s Camp Fire in Northern California, which consumed almost 14,000 homes and 5,000 other buildings, riveted people around the world. The drama of people fleeing the flames, sheltering in hospital parking lots and searching for survivors is gripping and terrible. The power of the blaze is driving difficult conversations about climate change, emergency preparedness and where we choose to live. But it’s also becoming a humanitarian nightmare, with tens of thousands displaced in a state that’s already coping with a homelessness crisis. Winter is rapidly approaching; storms have already created a muddy mess in evacuee camps, and the nights in the Sierras are getting cold. These thousands of people need to go somewhere, and Butte County already had a low vacancy rate and limited affordable housing before the crisis. Now? Housing can’t be had for love or money, with properties in neighboring areas selling or renting almost the minute they hit the market. Officials have moved to ban price gouging. Disaster recovery can be a long and fraught process. You may have seen images of shelters and pop-up camps, but these are designed to provide temporary housing only, with the goal of moving people into more appropriate housing as quickly as possible. Sheltering has also been complicated for people with pets, as not all shelters accept animals. And pets themselves are also homeless and in need of shelter. Meanwhile, evacuees have been sickened by norovirus outbreaks in some shelters, making others wary of staying in officially-sanctioned facilities. FEMA aid has been slow, including trailers for temporary housing and payouts to help people get reestablished somewhere — even if it means relocating out of the area. Mobilizing resources is challenging with so many in need, including the very officials responsible for the recovery process. To compound the problem, some evacuees are uninsured or underinsured – especially in the case of older adults who had paid off their homes and subsequently dropped costly insurance that wasn’t affordable on a fixed income, or renters who couldn’t afford to carry renters’ insurance or didn’t think they needed it. 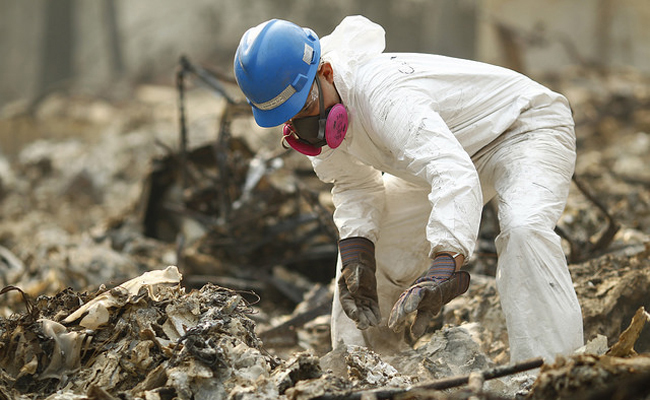 One insurer has already declared insolvency in the face of the number of anticipated claims, though the state has intervened to guarantee Camp Fire claims. Now, property owners are left with land covered in hazardous fire debris and no money to clean up, let alone start to rebuild. Some may be forced to sell their land to real estate speculators in a buyer’s market so they can purchase and develop properties at low cost, setting up for another cycle of rebuilding and destruction. Renters, meanwhile, have nothing; if their landlords do decide to rebuild, it may take months or years — and there’s no guarantee the property will be made available again, or that the rent will be comparable if it is. Evacuees are also coping not just with the destruction of their homes, but also the erasure of an entire community. This carries an emotional toll in addition to a logistical one. In coming months, some may be confronted with mental health challenges related to the trauma of fleeing the fire and coping with loss. And this makes it even more important to get people in stable housing with new routines — but that may be easier said than done, especially for low-income people who lack the resources to start over on their own. California’s difficulties with homelessness, amplified by extremely high housing costs, have attracted national headlines. This is most notable in the San Francisco Bay Area, where several cities voted on ballot measures to expand homeless services via taxes on large corporations. Cities hoping to make progress in accommodating their unhoused residents may have to prepare for a big change as evacuees fan out from the burn zone in search of somewhere — anywhere — to live. In a sense, these evacuees are climate refugees, and California’s response shows we’re clearly unprepared for climate-driven crises like these — which are likely to grow much, much worse in coming years. A terrible crisis which most politicians and the haves keep running from! But, we find more and more people in these predicaments and we have make changes now before it gets worse and people resort to the law of the jungle to be able to survive. The Camp Fire was started by a malfunctioning high voltage power line. It's too bad they can't find out who started that campfire.